Five generations of entrepreneurs laid the foundations for today's 'Etablissements Carré'. Marketing men ahead of their time, they knew how to forecast and anticipate market trends and, above all, how to adapt to them. In a profession that they knew better than any, generation after generation, they imposed radical changes upon their own company that were vital for the growth upon which they were about to embark. 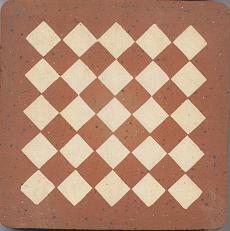 In 1888, Ernest Carré, the son of a manufacturer from Chaumont-sur-Loire (Center of France), decided to set up in Paris and took on the challenge of developing the ceramic tile trade. To this he subsequently added, together with his son Gustave, refractory materials which were then in demand within the building trade and in industry. 1925 - these were the crazy years when Art Deco became highly fashionable. The company really won its colours thanks to the intuition of Roger Carré who forecast, ahead of time, the formidable growth in home decoration. 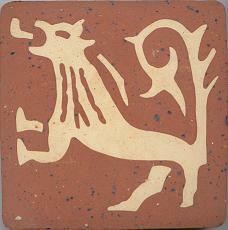 The company established itself in a new and booming market for decorative tiles and traditional tiled floors. 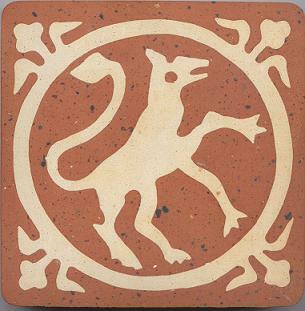 These were to include Beauvais tiles, Auneuil tiles, Bourgogne pavers and Provençal floor tiles, enamelled earthenware tiles, borders, friezes etc. These everyday products were gradually abandoned, from 1955 onward, by Jean-Michel Carré who chose to spécialise in the top-of-the-range and customised products which were to become thé company's spearhead and brand image. Today, market globalisation. 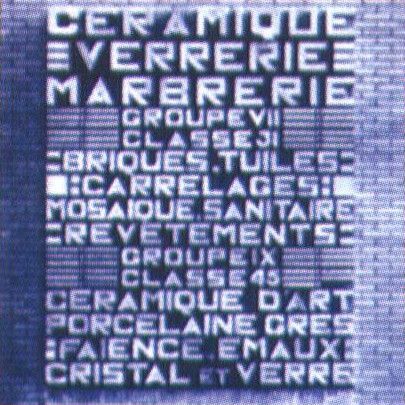 Carré has chosen to join faces with the Jolies Céramiques SA group, a French industrialist specialising in the manufacture of top-of-the-range floor tiles (Emaux de Briare, Aurum etc.) guaranteeing the company a certain timelessness, a greater capacity for investment and enabling it to take up the strategie challenges of the future as it has done in the past. 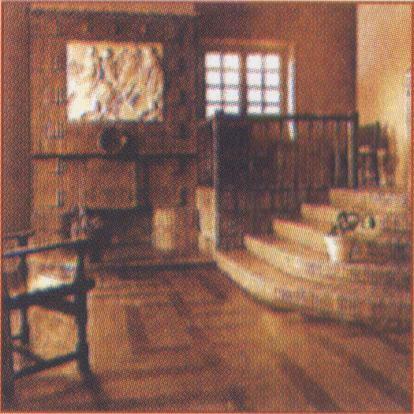 Entrance hall to a mansion created, around 1930, by the architect F. Lévy. 1937 World Exhibition, an entire pavillion is devoted to ceramics. 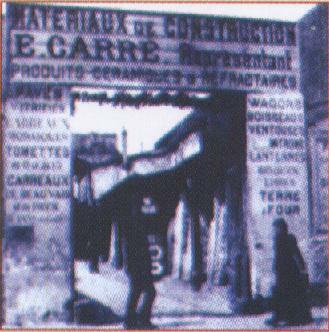 The information board was created by CARRE.